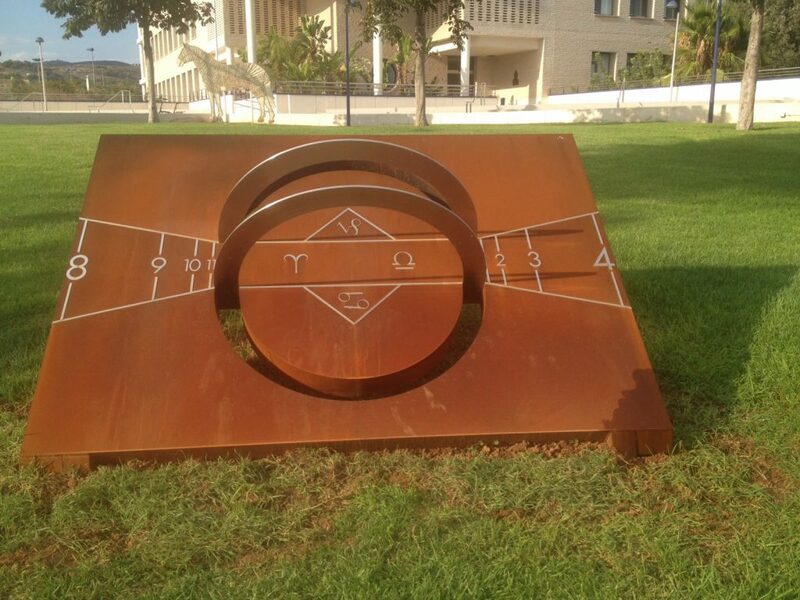 A new Equatorial sundial has been inagurated at Jaume I Castelló University. 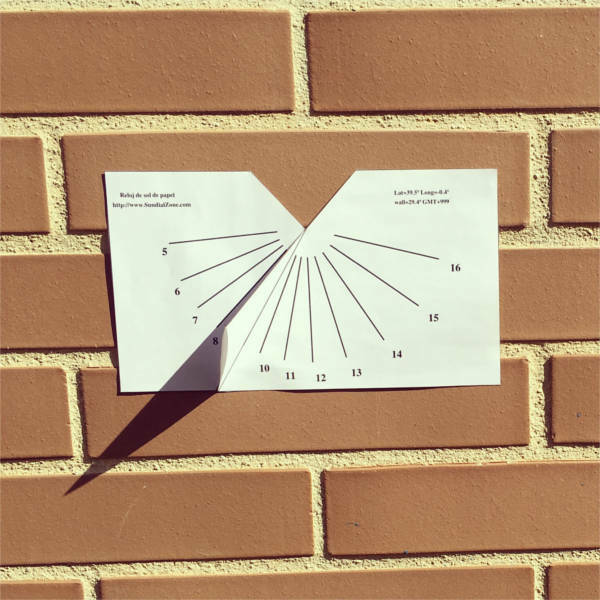 The designers Joan Olivares and Rafael Amoròs have develop this surprising sundial with an never seen before gnomon, as you can see on the picture it has two semicircles that projects the shadow and indicate time. You can see more details of the project at University webpage.